Presentation to CILIP in London on 6 June 2013. 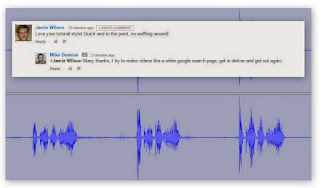 In this talk, Mike will outline Google+ Hangouts and Zoom.us while giving many examples on how others have used LIVE at YouTube to engage with the Communities they serve. 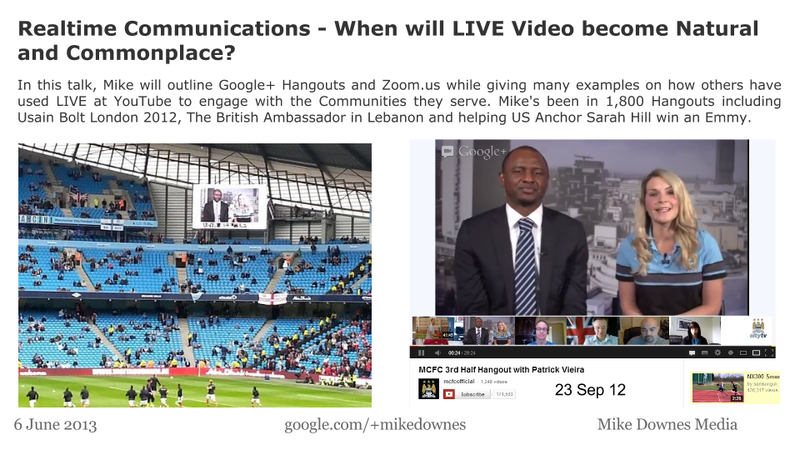 Mike's been in 1,800 Hangouts including Usain Bolt London 2012, The British Ambassador in Lebanon and helping US Anchor Sarah Hill win an Emmy. The Slides - 61 of them (Time to watch: as long or as short as you wish) This document is published to the web.